Home Columns Holiday Safety From the Outside In! The next best thing than Thanksgiving is the day after when we start preparing for Christmas. This week, we’ll start from the outside and work our way inside next week. One of the most common causes of holiday-time house fires results from these bulbs being too close to gutters filled with dried out leaves and twigs from recent Santa Ana Winds. Remember, we still may have Santa Ana Wind events in the forecast. Make sure your decorations are properly secured and stable in the yard, on the house and in trees. Make sure that the strings of lights you are using outside have built-in fuses on the lines. Check the actual plug. Make sure you are using lights designated for outdoor use only. 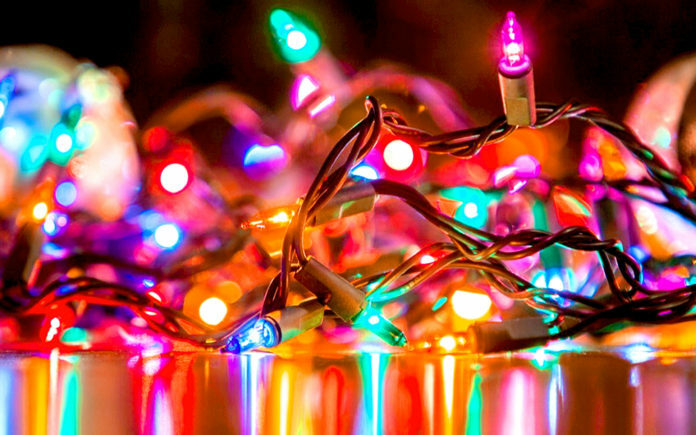 If you have a string of lights with a blown bulb, be sure to replace it with a bulb of the exact same wattage. Never tap into your home’s feeder line to power your outdoor Christmas lights or hang decorations on the line. Avoid using nails, tacks or metal staples to secure your outdoor Christmas lights. Use insulated hooks. Be sure your lights are strung tightly to avoid damage from the wind. Use only outdoor rated extension cords. Connect no more than three strings of lights to a single extension cord. All plugs should be plugged into a GFCI protected outlet when used outside. Watch for overhead wires when using a ladder. When climbing a ladder, use caution at all times, preferably having someone secure the ladder for you. Do not place the ladder in damp or muddy areas. Make sure you have a safe and solid foundation before climbing. If you are uncomfortable climbing or on unable, have someone else that is capable or hire a professional.